Nell'isola di Lipari in località Monte, dal 2016 casa indipendente in tipico stile eoliano con tutti gli ambienti che si affacciano sul patio, ideale per due coppie che vogliono mantenere la privacy ma stare vicini, cosi suddivisa: camera da letto matrimoniale con bagno con doccia in camera, seconda camera esterna ricavata nell'antico palmento della casa, cucina con grande piano cottura, soggiorno con soppalco e bagno con doccia. Grande terrazza coperta con vista mare sulla baia di Lipari e sulle isole di Panarea e Stromboli, solarium sia sul terrazzo di copertura che nel giardino che circonda la casa. Fornita di : accesso wifi, aria condizionata e ventilatore a soffitta in una camera matrimoniale e nel soggiorno, ventilatore a parete nella camera/palmento, micronde, tv con decoder satellitare canali in chiaro, radio cd, phon, ferro da stiro, cassaforte,barbecue, amache e lettini, doccia aggiuntiva esterna con acqua calda. La casa dista dall'accesso carrabile e dalla fermata bus circa 100 metri di strada cementata percorribili solo a piedi o con uno scouter. amazing place on hill with noone around. beautiful view from the terrace and roof. nice rooms with everything you need. we have came there for three days but finally stayed a whole week. A really gorgeous place. I could just sit in front of that house and enjoy the view for a week straight. Alfredo was very friendly and helpful, too. We'd come back anytime. Alfredo collected us from the boat and returned us at the end of our trip, helping us with our luggage at either end. The house has really good views over Lipari, the coastline and towards Stromboli. It's ok walking down the path into town but getting back up is a struggle especially with shopping. The buses were running a 'winter' service when we were there and the last bus back was at 2.00pm - to coincide with the school children. Taxis back cost 15E during the day and car hire is 25E/day. The house is as described but what wasn't clear too us was that from one of the double rooms you have to go outside to get back in to the shower room - interesting at night! The kitchen is quite small - short of work surface for cooking a proper meal but it's otherwise fairly well equipped. It's a really good house for the summer with acres of north-facing covered terrace - but if the weather is chilly the indoor space is limited. It's great to bbq on a warm evening, sit on the terrace and look at the view. Lipari is a good town to explore and trips to Vulcan are a great experience. There is some good walking on the island with good coastal scenery. There is a good house-book provided with lots of information about the local area. Towels are not provided but there is a vast range of toiletries in case you've forgotten anything. Super sejour chez Alfredo, la maison est atipypique, tres agreable terrasse avec une vue magnifique sur l'ile, on ne s'en lasse pas. Logement spacieux avec tout les equipements necessaires. Nous avions loue' des scooters ce qui nous a permis de nous rendre plus facilement dans le centre, sinon il y a un petit chemin (assez pentu) a' cote' de la maison. Sejour parfait, les photos correspondent a' la realite', un vrai petit paradis.Il y a tout ce qu'il faut pour se sentir bien, Alfredo nous a tres bien accueilli et etait disponible si besoin. Nous avons passe' pendant ces 15 jours d'excellentes vacances. We had a great time in Alfredo's home. 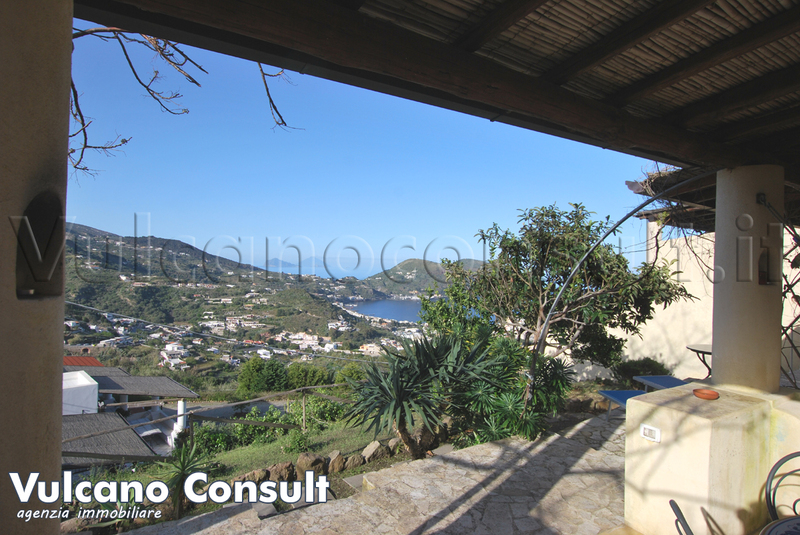 It has a beautiful location above Lipari town with views out over Stromboli in the distance. The height gives it a refreshing breeze through the day, and the terrace is shady and well equipped. We particularly liked lounging in the Hammocks with books and a cool glass of wine. My partner did a bit of sun worshipping on the roof. The property is however some distance from town. There is a steep path down hill to the centre of town, but you would need to be pretty fit to clamber back up! The taxis in Lipari are to be avoided - very expensive and we had a particularly unpleasant experience with one, who got us lost, and then demanded 40 euros with menaces (including a fist in my face). A car is essential for this property, and Alfredo was able to negotiate a modest discount at the pit stop hire place in town. They were charming and helpful. I would use them again. The house is basic, but clean and comfortable. The terraced garden is quite steep; which might be an issue if you come out with a free-range toddler. The island is beautiful with lovely views, rocky beaches and restaurants. Boat trips to the surrounding islands and to Stromboli, are delightful and filled a happy week, following the family wedding we originally came out for. Nous avons passe' 3 jours superbes dans le lodge d'Alfredo. La terrasse offre une tres belle vue sur le golfe de Lipari et le Stromboli. Nous n avons pas du tout gene' par la presence des voisins. Un grand merci a Alfredo qui a ete d une grande gentillesse. Il nous a aide' a louer un quad et nous a donne' pleins de conseils pour que notre sejour se deroule au mieux. Je conseille vivement ce logement mais il faut etre motorise'. La montee depuis la ville est bien raide !!!! Our stay at Alfredo's was great. The cottage is very nice, very clean and well equipped (and has Wifi contrary to what I read in the comments). The path to it is tough, but the view from the terrace is worth it! Alfredo was very friendly, he picked us up on the first day and dropped us to the ferry on the last day. He gave us very advice for trekking in Vulcano and Stromboli. We had a really wonderful and relaxing time at Alfredo's place. He was very efficient in picking us up and making sure we were on time for our connection. He helped us with hiring a car and gave us tips on where to go and when to do it (we recommend an early trip to Vulcano). The view from the apartment is simply stunning and we enjoyed relaxing both in the porch and on the solarium. If you are hesitating I would advise you to go for it - we had a great time! Alfredo was an excellent host and picked us up from the port and drove us to Monte where the lodge is. The lodge is twinned next to another lodge, very beautiful and peaceful with a fruit tree, hammock and a variety of places to relax and enjoy the amazing view out over the historic area of Upper Lipari and the islands beyond. The lodge itself has a sweet little kitchen with all necessary amenities. There is also a lovely outdoor shower! The walk down to Lipari is steep but quick and takes you right into town. The walk back is more daunting, especially in the dark, we opted for a taxi instead. Thanks Alfredo for a great stay! Petit logement tres charmant avec une vue paradisiaque sur la mer, nous y avons passe une tres belle semaine au point de preferer profiter au maximum de notre terrasse que de sortir au restaurant. Alfredo nous a accueilli des notre arrivee sur l'ile et nous a conduit a notre logement, il s'est occupe de nous trouver une location de scooter (vivement conseille) et a trouver une solution pour garder nos bagages le dernier jour. Nous conseillons donc vivement ce logement si vous cherchez calme et tranquillite (nous avons toutefois egalement beneficier du fait que le logement voisin n'etait pas occupe pendant notre sejour). Alfredo was so kind to pick us up at the harbour and to give us a ride to the apartment. He helped us a lot with carrying the luggage and gave us a tour of the house. The apartment is small, but has everything you need. The veranda is really nice with a hammock and an outdoor shower. 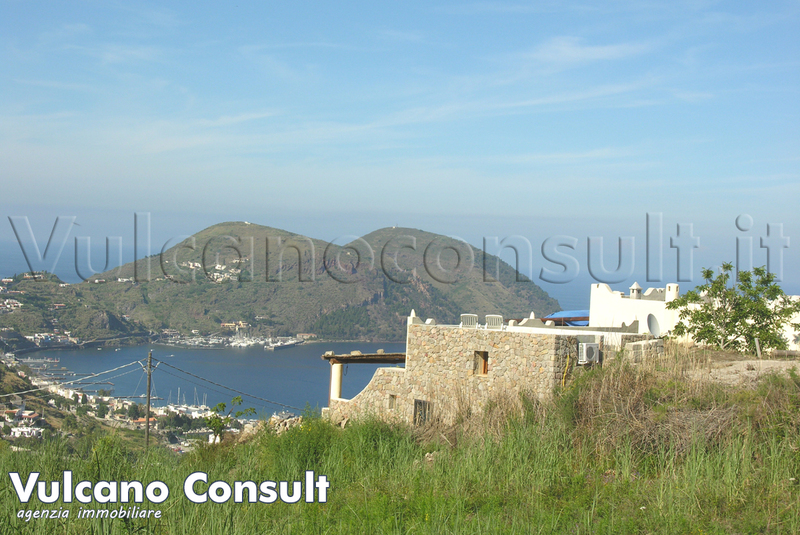 The view of Lipari town and the surrounding islands is amazing. Also, there is a very nice sundeck on top of the house. The way from the town up to the apartment is steep, but we did everything by foot. There is a very nice stone beach within walking distance. We enjoyed our stay very much and highly recommend it! We had to postpone our departure for half a day and were very grateful to Alfredo that we could stay a bit longer and that he was very flexible in giving us a ride back. Beautiful spot with amazing view. So quiet and peaceful but bit of a walk down to town with very steep slope which meant going to supermarket everyday was a bit of a mission. Taxis back at night are probably necessary! Alfredo picked us up from the port and took us back - a lovely host who also bought extra blankets etc when required. The beach nearby is secluded down a stony path, makes a nice change from busy beach resorts! Very remote which means 4 days was enough, but if getting away from the world is what you're after this place is great! 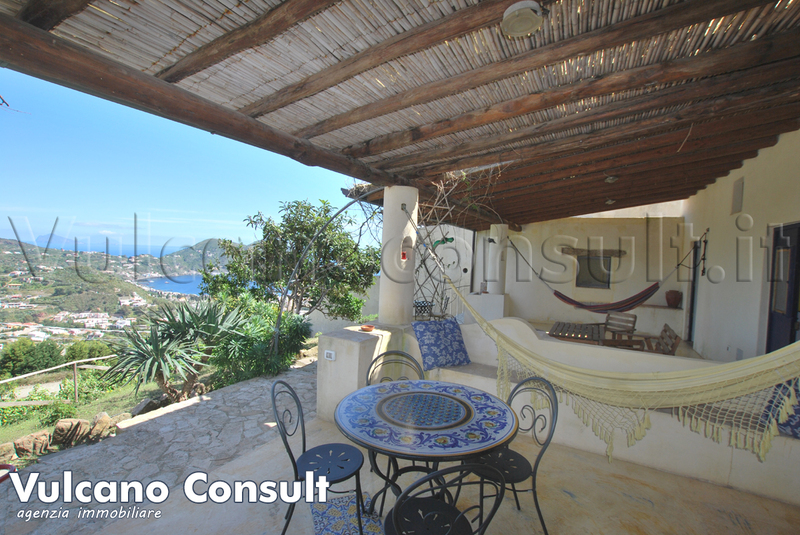 Wonderful house with an amazing view on Lipari and a beautiful terrasse. The best way to move from and to it is to rent a scooter. The winding roads on Lipari are an attraction by themselves but it's better to be a seasoned scooter rider ;o) if not you can go by taxi (20 â¬ to go to the centre of Lipari) or on foot (we were too lazy to try :oD ). Alfredo is very efficient, professional and sympathical. He came to take us at the harbour on arrival and took us back there when we left which was very nice and practical. Thanks again ! Really nice location, with the best view of the island all for You! The ambient is smart, simple and functional, all you need for a perfect vacation. For visiting the island and go to Lipari center a scooter is needed, and with it all is really fast to reach (rental prices are not high, 20â¬/day). I hope to come back soon! We stayed in Lipari for 1 week and really enjoyed the Villa Maracuja. Alfredo made it a perfect time with a first class feeling. Just to mention a few things... pick-up from and to the ferry (even early in the morning), organizing the return shuttle from Milazzo to Catania airport (never had such a well organized travel) and his recommendations for the scooter rental (we do have very good experiences with DA MARCELLO, cell +39-333 160 7578, fair rates with a nice person). Please consider to bring your own towels, because it is an apartment and no hotel. It is in the hilly surounding of Lipari. We suggest a scooter to come around to the city and on the island. Even though, there is a food path to the city. But after a few wine it can be long....In this case I would suggest the taxi Daniele 24/7 (+39-3396884165 or +39-3388110546). Just right for the authentic feel you want to experience (i.e. the warm outdoor shower with a mind-blowing view). Next time coming to Lipari, we will stay with Alfredo again. We had a fantastic holiday and Alfredo was the perfect host. The accommodation was excellent and the view was stunning. We couldn't have wished for anything more. In una parola semplicemente fantastico: appartamento tipico e molto ben curato, immerso nel verde e in un mondo di tranquillitÃ e poi c'Ã¨ Alfredo con la sua simpatia e la sua disponibilitÃ infinita...consigliatissimo!!! Cela a dÃ©jÃ Ã©tÃ© dit mais nous confirmons; cette maison est un petit paradis. La vue incroyable qui sert de rideau de douche quand on se sert de celle installÃ©e Ã lâextÃ©rieure (LE bonus de cette maison). La terrasse / solarium sur le toit et sa vue Ã 180Â°. Niveau installations tout y est, il ne manque rien, de la clim pour ceux qui ne peuvent s'en passer aux moustiquaires fraÃ®chement installÃ©es sur les fenÃªtres. Alfredo est d'une rare gentillesse et viendra vous chercher au port et rÃ©pondra Ã toutes vos demandes c'est certain. Envisagez la location d'un scooter car tout ceci se mÃ©rite et la cabane de rÃªve est quand mÃªme bien perchÃ©e sur une des nombreuses collines de l'Ã®le. Bons sÃ©jours ! We stayed here for 4 nights at the start of July and had an amazing time. Alfredo was really friendly and helpful, picking us up from the port and taking us to the house. He answered all of our questions such as how to find the beach nearby (perfect for sunset). We didn't hire a scooter or car and found the walk down to Lipari Town to be fine. Coming up is harder and doing it with groceries in the middle of the day was challenging! The view from the house is fantastic and the house is very lovely - it had everything we needed. Wir waren im Juni 13 eine Woche in diesem wirklich sehr schÃ¶nen Haus. Der Manager war sehr freundlich und hilfsbereit hat uns bei einem Notfall nachts ins Krankenhaus gefahren. Die Unterkunft ist wunderbar, Auto empfiehlt sich. Die Aussicht Ã¼ber Lipari und nach Stromboli, eine wahre Pracht. Der einzige Wehrmutstropfen waren die Ameisen in der KÃ¼che die sich immer wieder eine Weg gesucht haben. Ich denke, dass dies aber zu beheben ist. Wir empfehlen Lodge Maracuja auf alle FÃ¤lle weiter. My boyfriend and I stayed at the Aeolian Lipari Lodge for three nights in June 2013. Alfredo picked us up at the ferry and was very accommodating, even though our arrival time was unannounced because of a problem with our phones. He was very nice and took us to the apartment. The car can only go so far; once we arrived, we had to walk along a little path for a couple minutes to get to the lodge. Since we had backpacks it wasn't a problem (and Alfredo helped carry them) but it may have been difficult with suitcases. The apartment is a shared house with two apartments and two separate entrances (next to each other). There wasn't anyone staying at the other apartment upon arrival but it if there had been it wouldn't have been very private. The inside of the apartment is small but comfortable. There is a very small kitchen with basic supplies (although missing dish soap, which made cleaning dishes difficult). The water is not potable; Alfredo had bought one two-litre of drinking water for our arrival, but we had to get more the next day (which was kind of difficult since we only had a scooter without much room to carry groceries). The bathroom was also acceptable, with a weak but functional blowdryer. Unfortunately, there were no towels, nor a bathmat, nor soap for handwashing. Make sure to pack these things (and shampoo/conditioner)! The apartment is equipped with satellite tv, which was nice for the one rainy night we had. None of the windows have screens (nor the door) so it is impossible to leave the windows open at night (because bugs could get in). There is a fan above the bed but it was a bit stuffy (this may have contributed to a moldy/stuff/old smell that upset my allergies quite a bit). As others have said, the view from the apartment was amazing! This really made the apartment worthwhile. 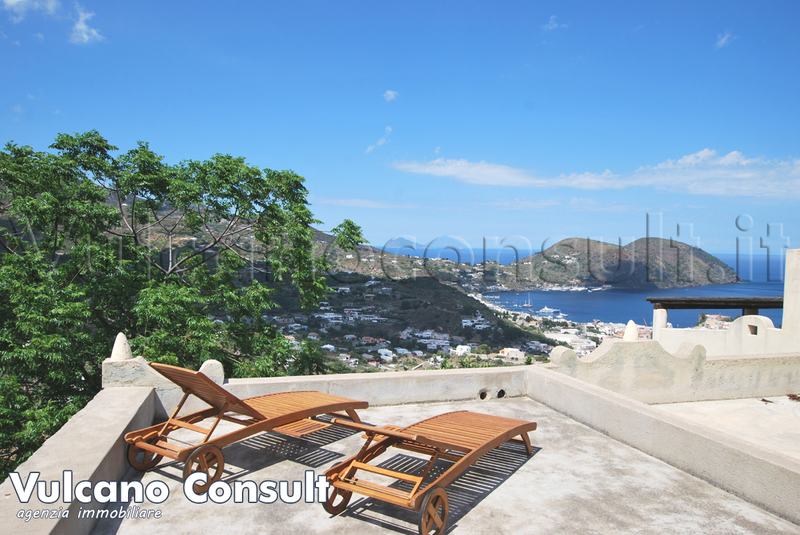 The apartment literally overlooks the town of Lipari. However, you can't walk from there to any restaurants or grocery stores. It is quite isolated and rural - both a blessing and a curse! We rented a scooter for 15Euros a day, then took a taxi the final ride up after dropping it off (20Euros). Alfredo was kind enough to pick us up at 615am for an early morning ferry ride to Naples. He was very helpful and kind. 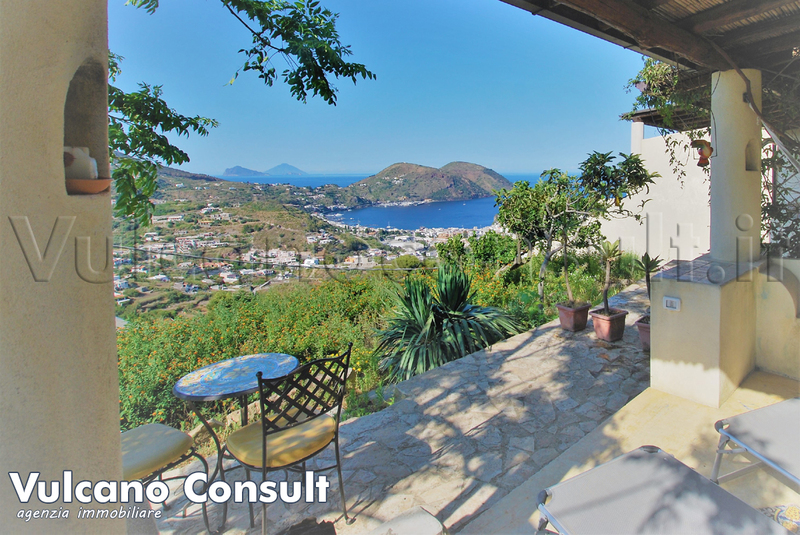 All in all, we would recommend the apartment & definitely visiting Lipari! Thank you Alfredo, loved our stay at Lipari and your beautiful apartment. The views across the valley and the sea to Stromboli are something we will never forget, truly wonderful. Your help with transport upon arrival and departure helped make our time in Lipari very comfortable. Great spot, highly recommended. Nous avons passÃ© un trÃ¨s bon sÃ©jour Ã Lipari Ã la fin du mois de FÃ©vrier. Nous sommes restÃ©s cinq nuits chez Alfredo, dans la Maison Lodge Maracuja. Alfredo est trÃ¨s accueillant et il parle assez bien le FranÃ§ais pour discuter avec nous : c'Ã©tait parfait ! Il nous a accompagnÃ©s le jour de notre arrivÃ©e, jusqu'Ã la maison, avec nos bagages. La maison n'est pas trÃ¨s grande mais suffisante pour deux personnes : beaucoup de dÃ©tails sont trÃ¨s jolis car authentiques (les portes anciennes par exemple). Tout fonctionne bien dans le coin cuisine et dans la salle de bain. Les terrasses doivent Ãªtre bien agrÃ©ables aux beaux jours, mais il y a le risque d'avoir plus de voisins. Par chance, nous Ã©tions seuls Ã cette Ã©poque! L'eau chaude est suffisante pour deux personnes, l'appareil de chauffage fonctionne bien pour chauffer la piÃ¨ce en FÃ©vrier! Le lit est confortable et nous avions une formidable couette en duvet bien chaude. FÃ©vrier peut Ãªtre une saison assez humide Ã©videmment, et le premier jour la maison Ã©tait un peu humide; mais les jours suivants, l'air est devenu plus sec et plus agrÃ©able grÃ¢ce au chauffage. Nous avons eu aussi de belles journÃ©es de soleil pour nous promener dans d'autres Ã®les : il y a beaucoup de bateaux, mÃªme en hiver, et le chemin Ã pied, pour descendre au port de Lipari, dure 15-20 minutes. Attention, la pente est raide et peut Ãªtre glissante en hiver. Le retour vers la maison n'est pas trop long non plus et la sensation de s'Ã©lever pour profiter d'une belle vue est agrÃ©able! En quatre jours, nous avons visitÃ© Vulcano, PanarÃ©a, Stromboli, et nous avons louÃ© une voiture pour faire le tour de Lipari un aprÃ¨s-midi : Tout Ã©tait magnifique! Finalement, nous remercions encore Alfredo pour ce sÃ©jour. La location de la maison Ã©tait Ã un prix raisonnable et nous n'avons pas Ã©tÃ© dÃ©Ã§us : la vue sur Lipari en contre-bas Ã©tait belle, avec toutes les diffÃ©rentes lumiÃ¨res du jour, quoique le quartier de Maracuja ne soit pas trÃ¨s sauvage. Et la silhouette de Stromboli au loin dessine un beau panorama lorsque le ciel est dÃ©gagÃ©. Nous espÃ©rons pouvoir revenir un jour Ã Lipari et refaire affaire avec Alfredo Ã cette occasion. Merci encore, Alfredo, pour votre gentillesse et votre disponibilitÃ©! Lipari was great. Alfredo picked us up from the boat and gave us some useful information for the island. He is really friendly and relaxed. The house had a beautiful view and was comfortable. We had a flight to Catania and drove all the way down to Milazzo with a rented car. The fairy was really nice and the people - they don't speak english or german - try to help you every time. We reached Lipari in the night. Alessandro was waiting for us with his own car and guided us to the house. After a short explanation we were alone and had a wonderful and amazing view over the city and the sea. Lipari is wonderful. Small streets, nice cocktails and a lot of nice people. Without a car it is a little hard to get to the city or to the nice beaches. Just wonderful. Really recommend it in september. Not to warm and not to touristic. We stayed at Alfredo's apartment for 10 days and had an absolutely wonderful time. The views from the apartment (and roof terrace) are some of the best on the island. The kitchen works well, the fridge is big, all of which allows for great self-catering in an amazing setting. Alfredo is a very warm, welcoming, and helpful host who speaks good English The walk up to the apartment from the town is undeniably steep, but just about quick enough not be a problem. A scooter is very handy, and we used taxis (we were charged 20 euro) for late nights eating and drinking in town (although when we did walk at night it felt safe, we were just being lazy!) There's an excellent stone beach - great for swimming - easily accessible from the apartment (1 minute on the scooter followed by a picturesque 10 minute cross-country walk). Lipari is a very friendly, laid-back island and makes a great base for exploring the other Aeolian islands. You are very close to Vulcano (5 euro on the hydrofoil) which has all its main attractions easily accessible from the port (the crater walk, two great beaches and the Fanghi pools) so logistics are made easy. We explored Salina, Stromboli and Panerea with tours, but again they can be seen independently by hydrofoil from Lipari port. The views of Vulcano and Etna at sunset from the various viewpoints easily reached by scooter (one 10 minutes from Alfredo's) are among some of the most beautiful sights i have ever seen. I can't recommend Lipari and the Aeolian islands highly enough for those with a love for natural history and exploration. This house is fantastic!! The view is truly incredible, the house itself is gorgeous and has everything you need, and there are lovely bush walks starting from just near the house. Alfredo is lovely and extremely helpful. Very highly recommend! Assolutamente meraviglioso, una splendida vista, l'appartamento Ã¨ molto bello e il proprietario. Ottimo rapporto qualitÃ fuori stagione, tutto era perfetto. Ottimo alloggio a Lipari. Completo di tutti i comfort per un rilassante soggiorno al mare. La casa Ã© situata sopra il monte di Lipari, quindi aspettatevi una salita/discesa ogni volta che volete andare al centro o alle spiaggie. La magnifica vista dall'ampia terrazza perÃ³ ripaga ogni fatica e la prorompente natura che circonda la casetta Ã© perfetta per chi vuole sfuggire dal traffico cittadino. Super consigliata! 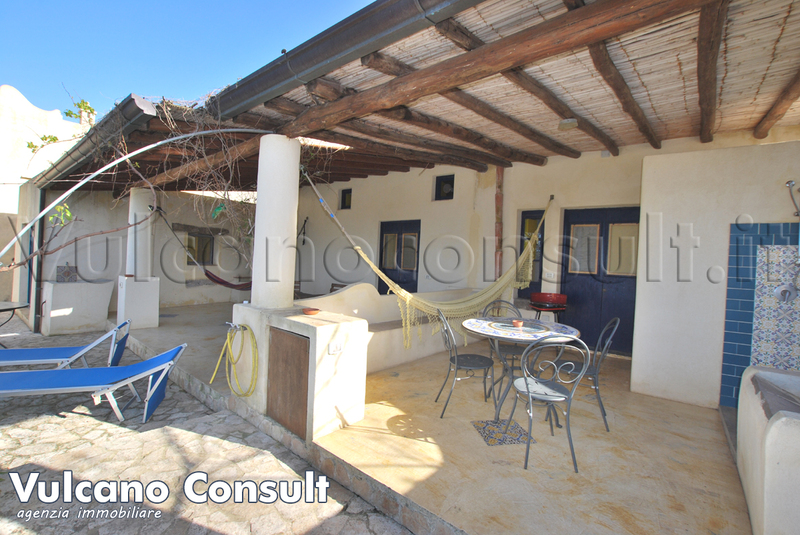 The house is ideally located above Lipari town. The view overlooking Lipari, the harbor and Stromboli in the distance is really magical. Having dinner there on the terrace, eating delicious mussels, drinking sicilian wine while watching a distant thunderstorm over the sea in the setting sun was a truly awesome moment! The path linking the house the town is a lovely walk and will keep you fit! We did not have to rent a car even with our 2 year old daughter. We were really close Valle I Muria beach west of Lipari and the northern part of the island which covered in wild flowers and has stunning views of Vulcano and Ethna. We were greeted by Alessandro who on top of being very helpful was a lovely person to meet. We bumped into Alfredo in town who gracefully offered a baby cot (we had forgotten to mention our daughter would be with us) which he dropped by later that day. The house next door was vacant which gave us a very special family time. It was a holiday way beyond anything we had hoped for. We will be back soon! The pictures don't do it justice...the view is amazing! To the right you look out over Lipari town, the beach and Stromboli. To the left you look out over the hills of Lipari....its quite easy to waste a day sitting on the roof top terrace watching time pass you by! Its a bit of a hike up from Lipari town, so if you're not into walking you might want to rent a scooter/car or take the bus. But Alfredo arranged for us to be picked up and dropped off at the port, and we like walking so it was no issue for us A great stay, we hope to return! Alloggio in ottima posizione dal PDV panoramico e funzionale (anche se i collegamenti con i mezzi pubblici non erano per nulla frequenti), ma scarsa la pulizia del locale; ritengo elevata la quota di 50â¬ per le pulizie.